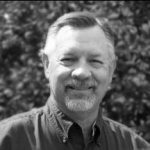 Mike Osborn has been with Wycliffe Bible Translators for 8 years. He currently serves as Associate Director for Partnership Development. Previously he served as the VP for Partnership Ministries with JAARS and as C.O.O. for New Mission Systems Intl., where he also taught partnership development. Mike has a background in software development and project management and large Church administration (ordained). He graduated from Milligan College and he and his wife Karen have three grown children. They live and play in Waxhaw, NC.